ExVeritas ApS provides ATEX Notified Body Certification, Inspection and Training Services to Scandinavian and main land European markets. 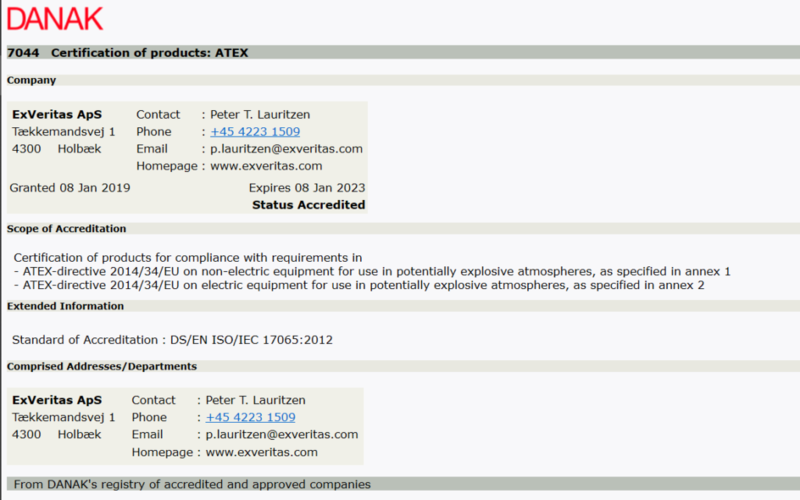 ExVeritas ApS have been Notified against the ATEX Directive by the Danish Safety Technology Authority as required by NANDO. ExVeritas ApS are also accredited by the National Accreditation Body of Denmark (DANAK) against the EU ATEX Directive, Registration Number 7044. Accrediting Certificates and Notification Letters can be found here. For more information on DANAK’s international recognised accreditation, please click here. For details on the certification procedure for ExVeritas ApS DANAK accreditation and ATEX Notified Body Certification please click here. For details on the complaints and appeals process for ExVeritas ApS DANAK accreditation and ATEX Notified Body Certification please click here. 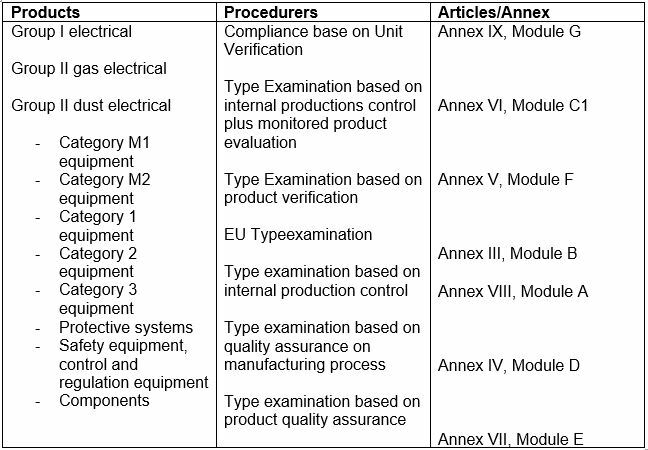 For details on the certification rules, scheme conditions and general business terms for ExVeritas ApS DANAK accreditation and ATEX Notified Body Certification please click here. Through our cloud based Certification Management System (CMS) ExVeritas ApS can seamlessly manage and conduct work leading to many other form of certication, with certication offices in the UK, Singapore and North America, we can offer ‘turnkey’ global approval through the ExVeritas Group. UK Certification Body, IECEx Certification Body and North American Listing (Div1/Div2) with test and assessment normally conducted by staff local to you. Fast ‘Field Certification’ delivered locally for ATEX and IECEx Certification. Local auditors for ATEX QAN, IECEx QAR and ISO9001:2015• ATEX and Ex Design Consultancy for products and installations – ExVeritas ApS is backed by a global team of experts with over 300 years collective experience. Local open and bespoke training including internationally recognised and fully accredited CompEx Certification for People. EXF (Foundation), Ex F+ (Foundation+ with an introduction to installation), EX12 (for designers) and EX14 (for site/inspection managers) can be delivered locally together with the full range of Unique ExVeritas Designer Level Courses.